A quick and easy weeknight meal, the whole family will enjoy!! Make dressing first, so it has time to chill. Whisk together all ingredients in a small bowl, refrigerate until ready to use. Bake the chicken strips according to the package directions. Remove them from the oven and allow them to cool. Slice each chicken strip into bite-size pieces. In a large bowl, toss together lettuce and coleslaw. Divide among 4 serving plates. 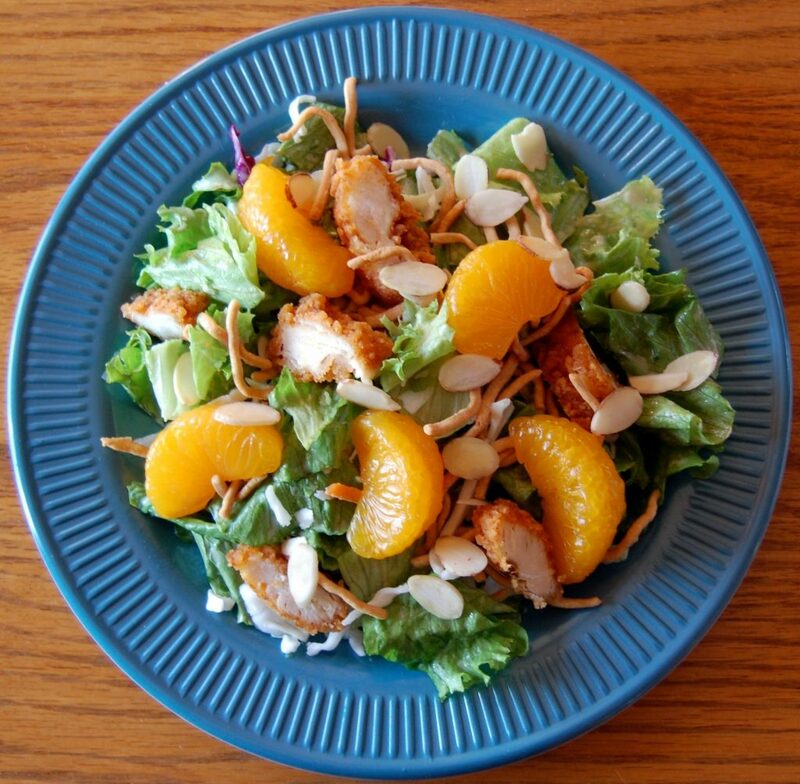 Top with chicken, mandarin oranges, almonds and noodles. Drizzle with dressing right before serving. Cook's Note: You can use grilled or rotisserie chicken, if you prefer.